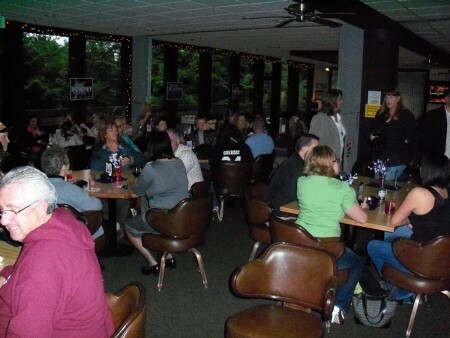 The Elk's Lodge in Eureka played host to not one, but two election night parties on Tuesday night with District Attorney candidate Allison Jackson and Humboldt County Sheriff candidate Mike Downey seemingly splitting the cost of catering. Around 100-150 supporters sipped drinks and chatted excitedly, while the two stars of evening made the rounds. 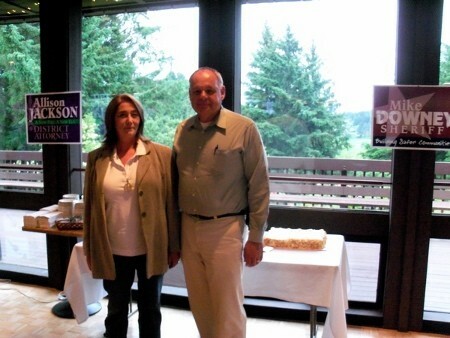 Both Downey and Jackson appeared loose and upbeat. "We've always thought we were going to take this thing," said Downey prior to the announcement of any results, "and everyone I talk to and every poll I see says I'm going to win. So, I'm pretty confident, but I'm still a little nervous." A pair of cakes nearby boasting "Sheriff Elect Mike Downey" seemed to share his confidence. Also, present and smiling was DA candidate Allison Jackson, who spoke with less swagger than Downey. "I feel good. Today was just another day where I went to work, but I'm excited to see the results." Unlike Downey, no prophetic cakes relating to her campaign were seen.